You can receive the Culture Pass via your mobile phone or in a printable format. Over the course of three consecutive days, the $32.50 pass will admit visitors to all participating attractions. The pass is activated at the first attraction visited. All participating attractions are listed below. The History Colorado Center's hands-on and high-tech exhibits take you back in time, connecting what was to what's next. They're unexpected, thought provoking and relevant. And most of all, fun! Kirkland Museum displays decorative art beginning c.1870 with fine art by Colorado/regional artists including Vance Kirkland. Ages 13+ only. 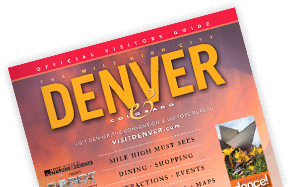 With your Mile High Culture Pass you can also enjoy the following deals. Italianate house built in 1883 and restored to the 1912-1924 period. This Denver landmark reflects the character of two early and important Colorado pioneer families. Buses welcome with reservation.